Dr Rebe Taylor is a historian specialising in Tasmanian anthropology and archaeology. She first encountered Tasmanian Aboriginal history on a beach on Kangaroo Island, South Australia, hearing stories about the women who had been taken there by sealers. She has been trying to understand the history of Tasmanian Aboriginal diaspora, loss, rediscovery and endurance ever since. Dr Taylor’s most recent publication is Into the Heart of Tasmania, which tells the story of English gentleman Ernest Westlake, who in 1908 packed a tent, a bicycle and forty tins of food and sailed to Tasmania. On mountains, beaches and in sheep paddocks he collected over 13,000 Aboriginal stone tools. Westlake believed he had found the remnants of an extinct race whose culture was akin to the most ancient Stone Age Europeans. But in the remotest corners of the island Westlake encountered living Indigenous communities. The book tells a story of discovery and realisation. One man’s ambition to rewrite the history of human culture inspires an exploration of the controversy stirred by Tasmanian Aboriginal history. It brings to life how Australian and British national identities have been fashioned by shame and triumph over the supposed destruction of an entire race. To reveal the beating heart of Aboriginal Tasmania is to be confronted with a history that has never ended. 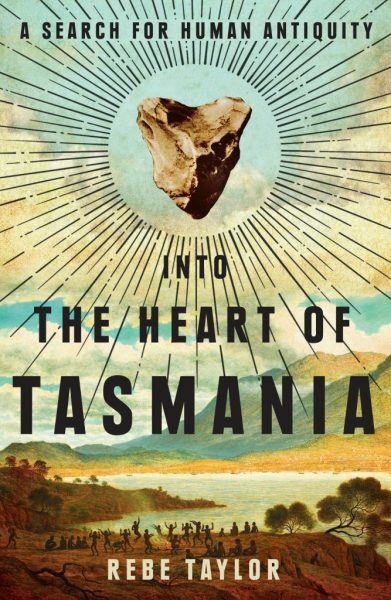 Into the Heart of Tasmania is one of the Writers Centre’s Recommended Reads for the month of March. If you pop over to our Recommended Reads post you’ll see that we have a copy to giveaway, thanks to Melbourne University Press. 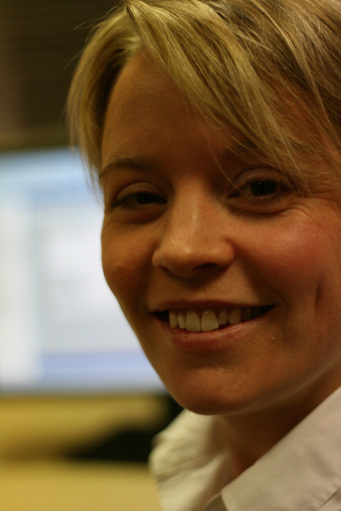 We are delighted that Dr Rebe Taylor was able to take some time to answer our questions for the TWC blog. Can you tell us a bit about how and where you write? I write in a converted garden shed at the end of my garden, looking out onto a huge fig tree, and surrounded by the various sounds of my dense neighbourhood: trains, mowers, birds, a ukulele and and the snoring of my Cavalier King Charles Spaniel. I often write a rough plan with pencil, but I write on a computer, touch typing. I retype sentences a lot. But before I make any major changes to a chapter I save a new version. I sometimes have up to 60 versions. Usually the best writing comes just as I’m about to go and pick up the kids from school, so I will often take my phone and talk the sentences or the newly devised structure into it, and use the recordings to start the next day. This sounds smooth, but it usually involves quite a bit of anxiety. Can you tell us a bit about the process of writing the book eg how long it has been from conception to publication? Did it involve a lot of new research for you that was specific to the book, or was it a way of collating a lot of the work that you’d already done as an academic? It took me about two years from the first sentence to publication to write this book. But getting to that first sentence took far longer. I first encountered the Westlake archive in Oxford, in 2000, on a PhD exchange between the Oxford and Australian National Universities. Even when I submitted my PhD in 2004, I felt my journey with Westlake had only just begun. I continued to explore the meanings and historical context of what he found in Tasmania in a Post Doctoral Fellowship: I wrote about how his interviews with Tasmanian Aborigines and settlers challenged the notions that Tasmanian Aborigines could not make fire or catch scaled fish; I explored the broader historical questions surrounding the notion of their supposed extinction, of genocide and of Australia’s national shame; and I examined the relationships between academic history writing and archaeological and anthropological research and the politics of Tasmanian Aboriginal protest and self-determinism. Throughout all that time I worked on digitally publishing Westlake’s entire Oxford archive (Stories in Stone: The Collections of Ernest Westlake (1855-1922),co-authored with Michael Jones and Gavan McCarthy). And I had two children. Then, in about 2014 I realised ‘I have a book’. I could see and feel the structure. I just had to write it. I couldn’t collate or cut and paste much of the previous writing. I had to begin again, and create a new entity. I wanted it to be imaginative, creative and personal. That involved new research. It took a month just to research and write Westlake’s journey into the British Museum to see Tasmanian Stone tools in the ethnographical gallery. I spent weeks researching what train would Westlake have caught from Fordingbridge to Liverpool! And I revisited his letters and poured through them again and again. Your biography states that your first encounter with Tasmanian Aboriginal History was on a beach on Kangaroo Island – can you tell us a little more about that? It was shortly after my arrival to Australia from England with my family when I was about 7 years old. We spent our summers on a sheep farm that was first inhabited by a man who arrived as part of the sealing trade that took Europeans from the Bass Strait to South Australia, and beyond, from the early 1800s. Nat Thomas, I remember being told, was a kind of ‘white savage’. He dressed in skins and traded seal pelts for rum with passing ships on the same beaches where we played and swam. He ‘kept’ Aboriginal women brought from Tasmania as ‘slaves’ and ‘beat them’ if they tried to escape. These were strong impressions! And they stayed with me. When I put forward my Honours thesis topic proposal it was to write a history exploring the representations of the sealers and their Aboriginal partners as ‘savages’ and ‘slaves’. My Masters thesis extended this interest: it was a genealogical history tracing the six generations of descendants of Nat Thomas and his Tasmanian Aboriginal partner, ‘Betty’. This was the beginning of what became the book Unearthed (Wakefield Press, 2004 and 2008). (I should add: anyone interested in the representations of the so-called ‘sealers’ and their Tasmanian Aboriginal partners as ‘savages’ or ‘slaves’ should read Patsy Cameron’s book Grease and Ochre, Fullers Bookshop, 2011). How was the experience of working with people like Jim Everett, Greg Lehman and Patsy Cameron? A privilege and an honour. They took me into their homes and hearts, and spent many hours talking to me (and listening to me babble on). Their generosity is incredible. They are kind and patience teachers. I learned so much. I have never stopped realising how little I know. It was humbling. And it was also a lot of fun. They are warm-hearted people with an irrepressible sense of humour; mocking the ridulous assumptions made about their culture and people with a cheeky irreverence that remembers their continuing resistance. We are all so lucky that they have such a wonderful determination to share what they have sustained and endured. And in all this I would like to include Clinton Mundy. I am so grateful for his tenacity that we should honour his ancestor, Fanny Smith, with getting the chapter on her as correct as we could manage. And I was also helped by other members of the community in many wonderful conversations, as my acknowledgements demonstrate. What do you think are the biggest challenges currently facing members of Tasmania’s Aboriginal communities? My first response to that question is that it should be posed to them. I can’t really answer that. The challenges are seemingly multifarious and and on-going. But what I am so pleased to see, is a shift away from what has been one of their hardest challenges, the idea of their supposed ‘extinction’ to a wider recognition that they are a living community. When I used to tell people what I was writing about Tasmanian Aboriginal history, I’d get responses such as: ‘didn’t we kill them all?’, or ‘there aren’t’ any of them left, are there?’ I don’t hear that anymore. And when I first went to the Tasmanian Museum and Art Gallery I remember seeing a diorama of an Aboriginal ‘family’ (child, father and mother) standing behind glass, with a plastic crayfish on a fire. There was no mention of their continuing culture or community. But the last time I was there I saw the wonderful kanalaritya shell necklace exhibition with curator Zoe Rimmer and chair of the exhibition board, Theresa Sainty. I learned so much more about the women’s continuing culture than seeing the mannequins behind glass. But what strikes me too, is despite this awareness, some things have seemingly not changed. As the book explores in the prologue and the epilogue, it seems almost unfathomable to understand how concrete pylons could be dug into what the government knew was 41,000 years of continuing Aboriginal history in order to construct a massive bridge over the Jordan River as part of the Brighton Bypass in 2011. The Aboriginal sit-in protest and their requests to build the bridge elsewhere, along with the archaeological findings all went unheeded. And then the government had the temerity to call the bridge ‘conservation’. It was hurtful and shameful. You were born in London, but have lived in Australia since you were 5 – do you think it’s a good place to be a writer? I can’t say with firsthand knowledge what it’s like to write outside of Australia, but since writing anywhere is challenging, simply because it is such a hard thing to do, it must be far less of a challenge to write here where it is relatively safe, beautiful, and where I have the freedom to be critical and analytical. And there is inspiration to be drawn from such freedom and beauty, even if it is to look to the darker and more confrontational parts of Australia’s past and its echoes in the present. It would help a great deal if there was a greater monetary value placed on history, research and writing. It is a constant financial struggle to find the time to write for that reason. Who do you think are the most important people and communities to provide you with support and direction as a writer? I think a writer values time to write above all. So that means money, and a quiet space to work. Those things often require help – from an employer who allows leave, or a partner who pays the bills, or a funding body, or kind philanthropist., writer centres and advances from publishing houses. It is also crucial to have kind but critical readers – someone who you trust to handover what feels so raw and private. I think a good editor is a gift. They can take so much of the fear and loneliness out of writing. I would say that, if possible, give your editor early drafts and bits of work, so that you know the manuscript is heading in the right direction and the first overhaul isn’t overwhelmingly hard. Sally Heath (excutive editor, MUP) was a fabulous editor. She knows how turn a manuscript into a whole entity that a book should be. And of course a supportive community helps: friends and family who who tolerate sudden cravings for solitaryness followed by demands to listen endlessly about your writing. While I was writing Into the Heart of Tasmania I couldn’t really read anything for pleasure. I kept seeing the words within a framework of the craft of writing, and if I admired the craft, (which was often the case) I’d find myself almost unconsciously channeling that writer when I returned to my desk. I couldn’t ‘take it in’ or get lost in the story or the analysis. So, since finishing the book I’ve had an insatiable hunger to read. I borrow piles of books, and buy what I can afford, and pile them up next to my bed, and read several at once. I have especially loved Tom Griffiths’ The Art of Time Travel. Tom has long been an influence to my work (he was my PhD supervisor) and reading his latest book lead me to return to some of the books that has influenced him, including Grace Karsken’s The Colony and Donna Merwick’s The Death of a Notary. When I went camping on the remote south-east coast of Victoria in January I took with me Mark McKenna’s From the Edge, and I looked out to the beach and imagined the survivors of the Sydney Cove walking past. This lead me to return to Mark’s earlier book Looking for Blackfella’s Point. I am loving having that vertiginous feeling that there is so much to read, and so much I still don’t’ know about the early history of Australia. Is there anything that has been scary about finally having your book out there in the world being read by people, or has it been a completely positive experience? I saw my first printed copy just before Christmas and was all ‘wow’ and ‘yay!’. And then there was a six-week wait before it was released. In that time I had an overwhelming feeling the book was awful and I didn’t want anyone to read it. Or even talk about it. A week before its release, I was camping and out of range. I came home to find a full two-day itinerary of radio interviews. My heart started thumping and my legs went cold. What was I going to say? Who was going to look after the kids? But it turned out to be wonderful fun. And the events at Fullers and Readings Bookshops to launch the book were amongst the best nights of my life! So many friends and kind words and wine. Having a really kind, calm and very effective publicist, like Perri Palmieri at MUP makes a huge difference to the ability to enjoy the celebration of publication. But a little part of me has started to long for the shed in the garden and the days when the only people I speak to are my family and perhaps their teachers or the baker or checkout girl. Can you give us a sneak preview of what you’re working on next? Well, it’s not written yet! But I can’t wait to stop researching and start actual writing. I am the Coral Thomas Fellow at the State Library of New South Wales. My project explores the Wedge Collection in the Saffron Walden Museum in North Essex, England. This is one of most significant collections of south-eastern Aboriginal wooden artefacts dating from Australia’s early colonial period. Surveyor John Helder Wedgecollected some of artefacts at the close of the Black War, but it seems none are of Tasmanian Aboriginal design. Who made the artefacts? How did they end up in little-known museum in rural England? This is a project that begins with the object and tries to understand its makers, and the stories of encounter that lead to its collection. It seems many of that the artefacts were owned by men brought from New South Wales and employed by Wedge’s friend and neighbor, John Batman, from 1829. These men helped Batman, and other Tasmanian settlers, on the ‘roving parties’ that aimed to capture Tasmanian Aborigines in the early 1830s. Several of the New South Wales Aboriginal men then travelled with Batman and Wedge to found Melbourne in 1835, and were asked help to negotiate the supposed ‘treaty’ with the Kulin people. Many of the artefacts in the Wedge collection are seemingly Kulin made. I am intrigued to try find out the life stories of these encounters, and especially the lifestories of the young New South Wales men who lived with Batman for so long. Where had they grown up? What was it like to experience the violence of the Tasmanian frontier? What was it like to travel and live amongst the Kulin people? I am full of questions at the moment, and finding the answers seems difficult, urgent and exciting. I hope the end result is at least compelling. You can also follow Rebe on Twitter.